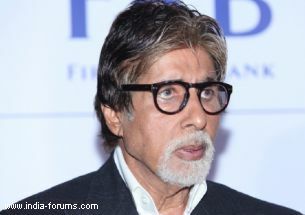 Megastar Amitabh Bachchan Tuesday unveiled film journalist Priyanka Sinha Jha's debut book - "Supertraits of Superstars". "Supertraits of Superstars" throws light on 11 superstars of Bollywood and their single defining super trait that makes them tick like no one else in showbiz. "I am extremely glad and humbled as people feel I am some kind of inspiration. There are so many compliments and good things written in the book that it becomes difficult to live up to and match something that has been written about you," Amitabh told reporters at the launch. Priyanka, a film journalist for the last 18 years, dug deep into her own experiences and journalistic interactions while writing the book. "I am fortunate that Mr. Bachchan could make it for the event. He is certainly an inspiration for all of us," said Priyanka, who works as the editor of Screen, the leading Indian film weekly.